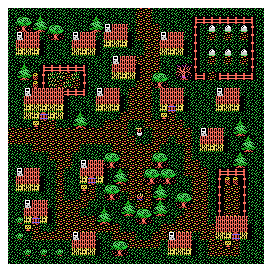 I’m now in the process of wrapping up the second world disk… There’s a few transactions to write up, I need to finish populating the map headers with character and monster data, and I need to add the tile set data to the program file, so it knows this blocks sight, this makes that sound when you step on it, and so forth. I’m glad I took the time to create a map extractor tool. 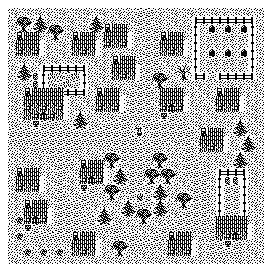 Seeing the finished maps just auto-generated and including a black and white version is just neat! I’m considering adding a monochrome option to the game, just for fun. As I was working, I realized I needed to make an infrastructure change. I’m going to have the game store all mobs for the current world disk in memory. That increases load time for loading and saving games, but it will give me the ability to allow the game to be restored to points before events that significantly altered the game. The more I’ve worked on this the more I’ve realized that modern gamers expect the equivalent of an “undo” button, and with the SAMS card I do have the memory to make this happen. I live in western Washington so it looks very likely I’ll be snowed in most of the week… Hopefully that means I can make some great progress with this!